Social media can change the world. We have seen just how much social media can create change in the last few months of 2017 when, on Oct. 15, 2017, actress Alyssa Milano tweeted, “If you’ve been sexually harassed or assaulted write ‘me too’ as a reply to this tweet”. Her tweet has since received more than 50,000 likes, 25,000 retweets, and 60,000 responses and was a catalyst for the #MeToo movement. #MeToo has had a dramatic impact from Hollywood to Washington D.C. and from the board room to the dining room. The list of rich and powerful men revealed to have sexually assaulted and harassed women has been staggering. The only thing more staggering is the number of women who have been assaulted and harassed and yet shown the resolve to express #MeToo to family, friends, and co-workers through social media. Through the use of hashtags, social media serves as a powerful tool for people and movements to share their stories, reaching new audiences across the globe. Social media has brought attention to such issues and causes as #LoveWins, #BlackLivesMatter, #YesAllWomen, and #WeAreHere in ways traditional media has not. People have front row access to the issues afflicting communities and driving activism. Social media provides a firsthand account of the biggest issues facing the world today from those directly impacted. As a result, increasing awareness of an issue is where social media can have the greatest impact. Social media also has been used for political protest in other countries with #UmbrellaRevolution and #IndyRef, and in the United States with #Resist. 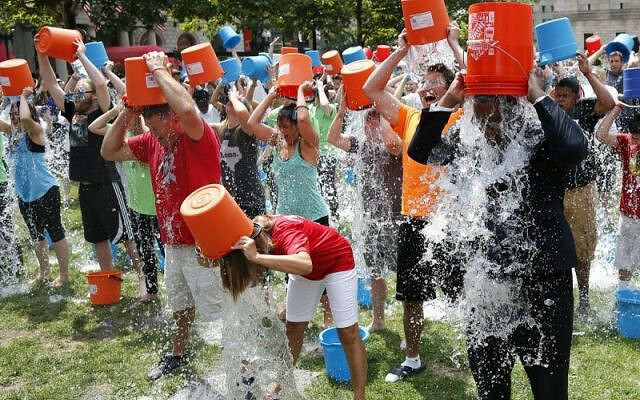 It has raised money for charities to fight disease with #IceBucketChallenge. And it has been used to show solidarity with those suffering after terrorist attacks with #PrayForParis, or after natural disasters with #PrayForJapan. The list of campaigns gets longer each day as more people use social media to raise awareness and promote solidarity around a movement. But this doesn’t mean that social media doesn’t also have its detractors, and rightfully so. Posting or tweeting a hashtag has been called a form of slacktivism, where users join the conversation and spread awareness about an issue but don’t take any action in the real-world. As it turns out, #BringBackOurGirls didn’t actually bring back any girls abducted by Boko Harem, #Kony2012 didn’t bring Joseph Kony to justice, and #OccupyWallStreet didn’t end bad business practices or redistribute wealth. Tweeting a hashtag, or posting to Facebook with the image of a country’s flag over your profile picture doesn’t do much, other than make you feel better for your hashtag activism. Social media is a means, not an end. Awareness is a tactic, not a goal. Slacktivism only becomes true activism, and brings true change, when the movement has a goal and a means to achieve it. I realized this recently while teaching a new Social Media and Society course at the University of Florida. For their final project, students designed a social media campaign aimed at influencing the public to make a change. There were no limitations on the topics, but they all had to have the goal of bringing about a positive social change in society. The campaigns were remarkable and creative, and the student’s passion was incredible. The students designed campaigns around such causes as fighting human trafficking, getting homeless LGBT youth off the streets, body positivity, and ending puppy mills. They all had ideas for how to raise awareness on an issue. They all discussed social media campaigns that had raised awareness of an issue in the past. And they all created mockups of social media posts to raise awareness. But missing from almost all of their campaigns was a goal beyond raising awareness. The Ice Bucket Challenge was successful not because people shared over a million videos of it on Facebook or because it earned millions of mentions on Twitter. It was successful because it raised over $100 million for the ALS Association. The viral nature of the campaign aside, there was more to it than just letting people tweet about it. There was a call to action to donate money and, as every marketer knows, if people don’t know what they are supposed to do they often do nothing. 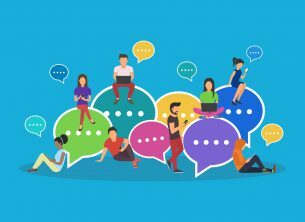 A social media awareness campaign without a clear call to action is like trying to convince people to live healthier without telling them how they can do it. There needs to be a measurable and quantifiable goal through offline activism beyond demonstrations and protests. 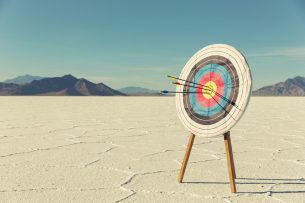 Without a clear CTA, a campaign may raise awareness, but leave people asking, “What’s next?” And without an answer, change never really happens. Campaigns can encourage offline action like voting for a candidate, signing or starting a petition, donating money or time, calling or emailing a representative or senator, boycotting a business or company, or volunteering. But it is also important to design a campaign with an achievable goal, and then measure how close you are to achieving that goal. Will schools receive more funding? Is there less teen pregnancy? Has animal poaching decreased? No campaign will completely prevent something from happening. But success should not be measured in absolutes. Success comes from small victories that add up to bigger victories. With a measurable and quantifiable goal, and a clear offline call to action, social media can change the world. Don’t just take my word for it. Andrew Selepak is the director of the online Master’s program with specialization in Social Media and instructor in the Department of Telecommunication.